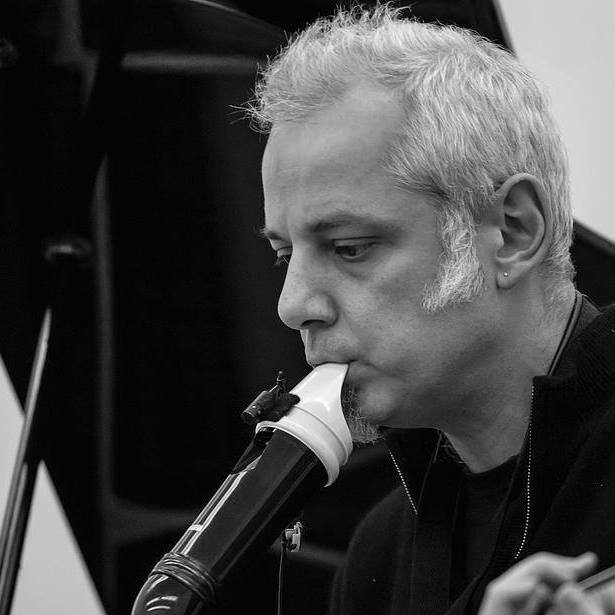 Recorder and Jazz piano player, professor at Civici Corsi di Jazz and Accademia dei Belle Arti di Brera, Milano, Gianluca Barbaro plays with several Jazz, Early Music and Traditional Music bands. He appears in several albums, including “Cerrimedioatutto” by jazz guitarist Franco Cerri, “Improvvisazione Altra”, live album by Jazz pianist Enrico Intra, and baroque French music “Les Folies d’Espagne” by “I Tesori d’Orfeo” Ensemble. He obtained a Master’s Degree in Jazz Music at Civici Corsi di Jazz, Milan, and an Early Music Recorder Diploma at Pavia’s Conservatory. Among the very few Jazz Recorder specialists in the world, he often plays EWI (Electronic Wind Instrument) and Baroque transverse flute during his public performances. He conducts a Jazz piano trio.